So here we are about half-way through the season of Lent and the Lent challenge we started. I grew up a Christian with little experience with Lent. In fact, I remember being at work and wondering why, one particular evening, about a quarter of all our customers had dark crosses smeared on their foreheads. What I learned later on after gaining a few wonderful Catholic friends is that it is a ritual of Ash Wednesday mass in which ashes from the previous year’s Palm Sunday are marked on the believer. It signifies mourning and repentance. The purpose of Lent is the preparation of the believer to draw closer to Christ through prayer, afflicting the flesh, repentance of sins, giving and self-denial. What’s cool about Lent is that it falls just about the time that our New Year’s resolutions have fallen to the wayside. Use Lent as a reminder of all the things you wanted to do to make it a better year. It’s your second chance. Lent is a good time to apologize to anyone you’ve wronged. None of us are perfect and we’ve hurt people in our lives. It takes a brave person to admit he or she is wrong. Be that brave person this season. More importantly, it’s about repenting of sin, and a repentive heart is sorry enough to stop. Fasting is tough. It bends our will and puts the selfish, childish side of us in a corner. It requires self-discipline and a certain strength of character. Not everyone can give up something that they love. But if you really want to see exactly what you’re made up, I challenge you to give up one luxury. Just one. Coffee, Facebook, cookies, swearing, whatever you indulge in. It’s not only a good way to kick a bad habit, but it shows you just how tough you really are. It helps to prepare our hearts to hear from Jesus, as we make steps to be more like Him. Jesus spoke of fasting almost as often as He spoke of prayer. Fasting brings you closer to the Lord and turns our eyes off of ourselves and onto Him. Enough said. 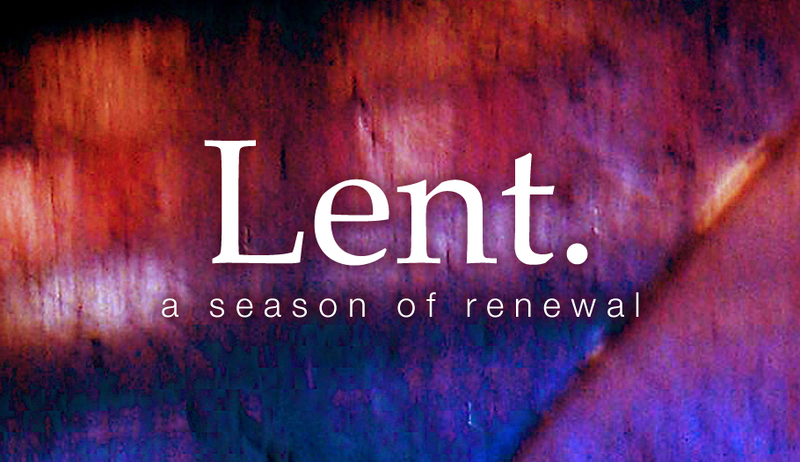 No matter where you are in your walk, Lent is a season for all of us. We can reflect, re-choose, and re-shape ourselves and our futures. Think about it. So if you have missed the last three weeks, then start now, make the next three weeks all about Jesus, give up something that you love, and see what happens.